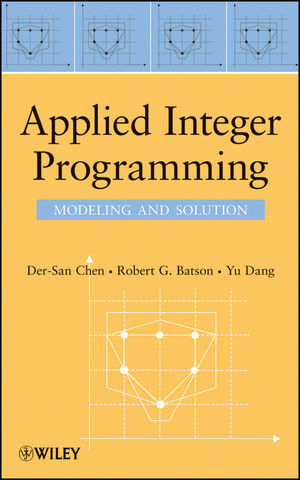 Integer Programming stands out from other textbooks by explaining in clear and simple terms how to construct custom-made algorithms or use existing commercial software to obtain optimal or near-optimal solutions for a variety of real-world problems, such as airline timetables, production line schedules, or electricity production on a regional or national scale. 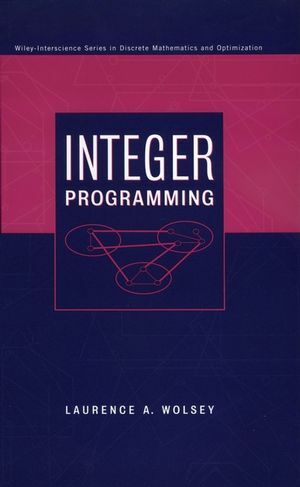 Integer Programming is an ideal text for courses in integer/mathematical programming-whether in operations research, mathematics, engineering, or computer science departments. It is also a valuable reference for industrial users of integer programming and researchers who would like to keep up with advances in the field. LAURENCE A. WOLSEY is Professor of Applied Mathematics at the Center for Operations Research and Econometrics (CORE) at l'Université Catholique de Louvain at Louvain-la-Neuve, Belgium. He is the author, with George Nemhauser, of Integer and Combinatorial Optimization (Wiley).